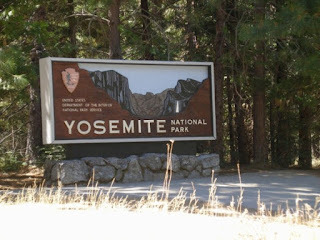 Yosemite is a must for visitors to California. The landscape is stunning and definitely worth the trek. If you like outdoor activities (I prefer the drive by kind) there is plenty to do from camping, to hiking, to rock climbing and more. 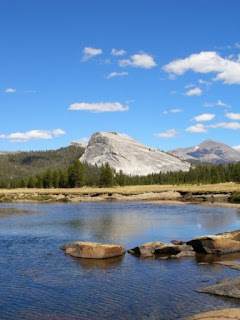 Regardless of whether you like to actively enjoy the outdoors or just passively enjoy it, Yosemite is definitely a spot to enjoy with a variety of scenery. A drive through the valley is most impressive and this is the place for tourists. The majestic El Capitan looms over the valley. 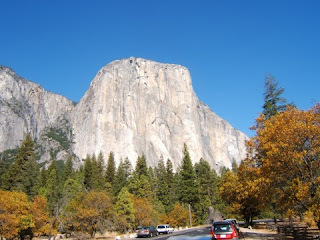 El Capitan is the largest granite monolith in the world. 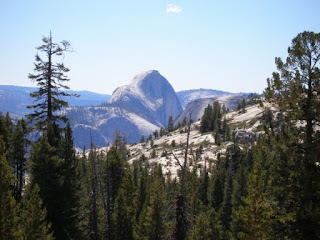 Another impressive sight from the valley is Half Dome, a sight which can be seen from other points in the park. It is recognizable by its domed shape. Yosemite is definitely worth the visit. While I didn't visit the Giant Sequoias in the park (I went to a different grove I will mention in another post) I would highly recommend visiting one of the groves in Yosemite. 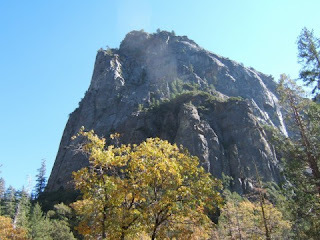 One of the groves (Mariposa) is seasonally accessible by car and the other two require hiking. The Giant Sequoias, however, are worth the hike as these are a sight to behold. 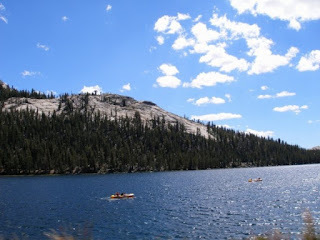 Driving through the park on the Tioga Road you will pass by Tenaya Lake, one of the few easily accessible lakes in the park, and through Tuolumne Meadows, which is generally less crowded than Yosemite Valley. 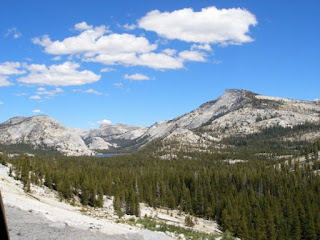 Continuing through the park on Tioga Road takes you through the Tioga Pass and outo f the park. Continue on the Tioga Road to where it meets US Route 395 in Lee Vining on Mono Lake. Travel further on up 395 and you can visit the ghost town of Bodie.